The PM says the current system just doesn't work. Prime Minister Justin Trudeau talks with reporters in Sussex, N.B. on March 22, 2018. OTTAWA — Hours before a crucial vote that could see a major campaign promise derailed, Prime Minister Justin Trudeau is warning his Senate appointees that it's not their job to defeat his government's legislation. Speaking in New Brunswick where Trudeau was re-announcing new government benefits, the prime minister said the Grits are pushing forward with cannabis legalization because the current system doesn't work. UPDATE: Senators voted 44 to 29 Thursday to send the Liberal government's marijuana legalization bill to committee. The vote fell mostly along partisan lines with the Conservatives all opposed and nearly all independents — most appointed by Trudeau including two senators who started their jobs this week— voting in favour of the bill. Only Independent Sen. Mike Duffy voted against the pot plan. Earlier Thursday, the government's representative in the Senate, Peter Harder, urged senators to support sending the bill to committee and follow through on a previous commitment to hold a final vote by June 7. Trudeau went on to say that he expects members of the upper chamber to review legislation but not to defeat election promises. "We expect a more independent Senate will do its work, to look at legislation sent by the House of Commons, that they evaluate the positive impacts on the community, that they bring ameliorations, if needed. 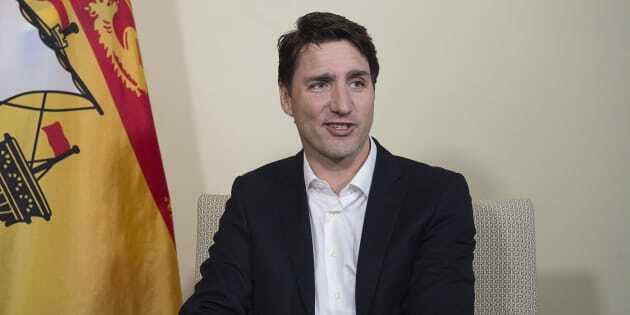 But it is very clear that this bill responds first to an electoral promise that we made very clearly during the election campaign and for which Canadians voted, and also that is something that we will continue to work on with different levels of government," the prime minister said. Conservative senators are expected to call for a standing vote on Bill C-45, the Liberals' plan to legalize cannabis, late Thursday afternoon. The Tories, who make up about one third of the upper chamber, are firmly opposed to the bill but they need more than a handful of senators appointed by Trudeau — who make up the majority of the chamber — to miss the vote or vote against it in order to defeat it at second reading. As HuffPost Canada reported Wednesday, the independent senators group pleaded with its members who are travelling to return to Ottawa for the vote. "Our sense is that they are willing to take the risk of having the bill defeated at second reading, and — in that event — to blame independent senators for failing to ensure its passage," senators Raymonde Saint-Germain and Yuen Pau Woo wrote. "Whatever your views may be on C45, Thursday's vote is very important, and we believe that we should have as many ISG [independent Senate group] members as possible in the chamber for that vote." Government sources expect the bill to pass, but one source noted: "Accidents can happen." Conservative Sen. Claude Carignan told HuffPost Canada that C-45 should be defeated because there are "too many things to change" and the government should be asked to "redo its own work." He listed concerns about impaired driving, the legal age, the grey market, the tracking and control of legal marijuana, as well as the background of legal producers and their investors. "I think the government was not ready. And they tried to push us. And we have a lot of improvisation. And if we adopt a bill like in this situation, it will be a mess," he said. But Independent Sen. André Pratte suggested Thursday's vote — to refer to C-45 for further committee study — was too premature in the bill's legislative process to defeat it. "Many senators have questions and concerns and this is what committee work is for — to explore the bill further so I see no reason of voting against the bill. Especially at this step when we have questions and concerns," he said. If the bill is defeated, the Senate rules state the Liberal government would either have to call a new session of Parliament to re-introduce the legislation or substantially amend it so the House of Commons and the Senate are not asked to vote on the same thing twice. In 2010, Conservative senators successfully defeated private member's bill C-311, which called for specifics cuts to greenhouse gas emissions, at second reading. The Tories had a minority government and were outnumbered by the opposition in the House that sought more action to combat climate change. At the time, Jack Layton, the NDP leader, called the Conservatives' action "one of the most undemocratic acts" ever witnessed in the Parliament of Canada. "To take power that doesn't rightfully belong to them to kill a bill that has been adopted by a majority of the House of Commons representing a majority of Canadians is as wrong as it gets when it comes to democracy in this country."